The Salto Angel, with 979 m the highest waterfall of the world, is located in the south of Venezuela in the National Park Canaima. 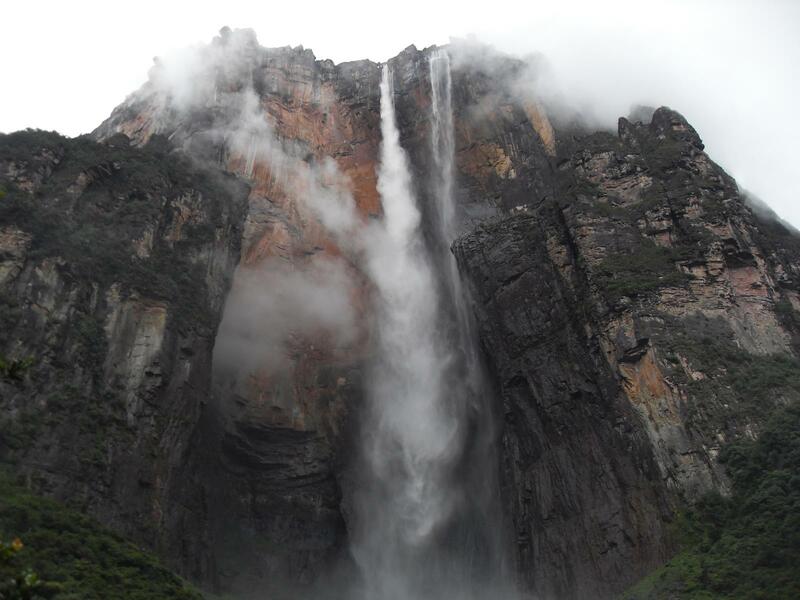 The waterfall drops down from Auyan Tepui, with 700 km² the biggest table mountain in Venezuela. 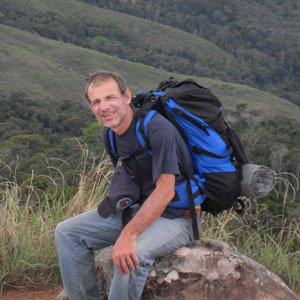 The Angel Falls was already discovered in 1910 by the Venezolean Ernesto Sanchéz de la Cruz, but named after the American bush pilot Jimmy Angel, who rediscovered it in 1935 on a flight through the Devil’s Canyon. But not only the highest waterfall on earth, one of the highlights of Venezuela, but also the lagoon with many other waterfalls and the natural landscape make a visit absolutely recommendable. Early in the morning you start from Ciudad Bolivar in a small propeller plane and enjoy the view before landing after 1 1/2 hours in the small Indian village of Canaima. At the airport you are picked up by an Indian guide and accompanied to the camp. 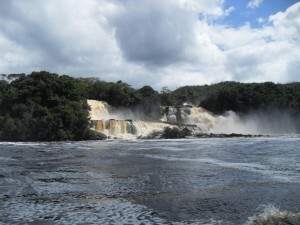 After lunch we go with a motorized canoe across the lagoon of Canaima passing by the waterfalls Ucaima, Golondrina and Hacha. After about 2o minutes of walk we reach the Salto Sapo. Now we go behind the waterfall in bathing suits to the other side, a breathtaking experience depending on water level. The overnight stay is in a Posada in the Indian village. 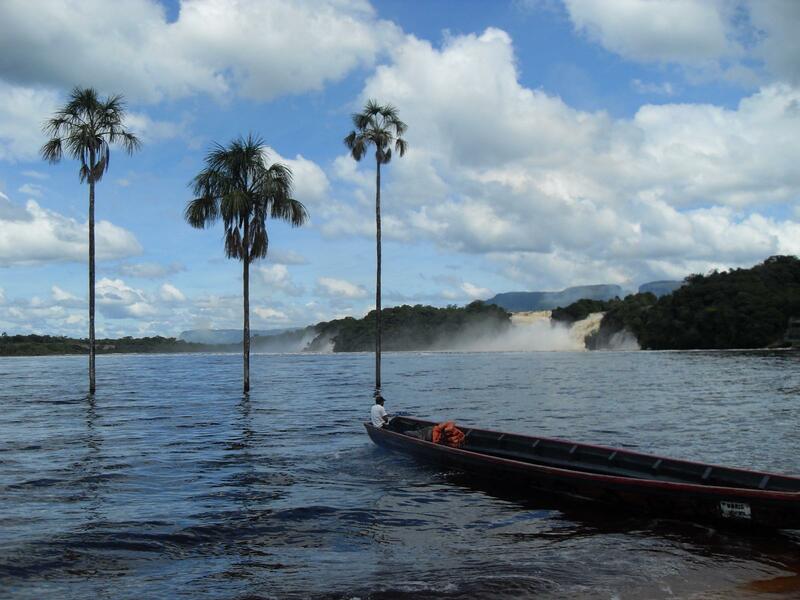 After breakfast we start in a motorized dugout canoe and go on the river Carrao toward Salto Angel. Later on it goes on the river Churun through the Devil’s Canyon, a unique jungle landscape surrounded by the Table Mountain Auyán Tepui. Depending on water level, the journey takes 4 to 5 hours and it may happen that you have to get off at extremely low water level to push the boat. Now we walk about 1 hour up to the foot of Angel Falls, a really unique feeling to be so close the massive waterfall. After a refreshing swim in the natural pool of Angel Falls you go to the opposed hammock camp at the river Churun with view of the highest waterfall on earth. After breakfast we drive back to the Indian community and afterwards fly to Ciudad Bolívar.